Are you looking for low carb keto gifts to give to family and friends? Take a look at our favorite picks for the kitchen, for snacking, and more. Although I love the holidays, I always struggle shopping for gifts. This year, I’m sharing my favorite kitchen items, a few things I have on my wish list, as well as gifts I’ve purchased for others. Hopefully, this list can help give you some ideas you may not have thought of. Since moving to a low carb diet and blogging about it, I spend a lot more time in the kitchen than I used to. And, I’ve discovered many tools to make life easier. My friends and family know I love food so I typically receive a lot of cooking essentials or tableware for Christmas. 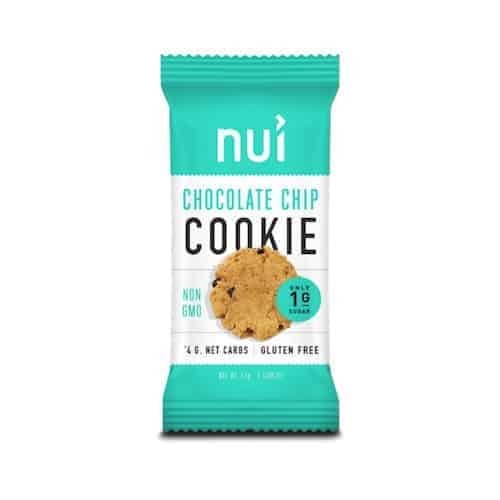 You really can’t go wrong with giving kitchen essentials or keto friendly snacks. So, here’s my picks for low carb keto gifts for everyone on your list! It’s a big list with over 40 items so grab a cup of coffee and get ready for some shopping. 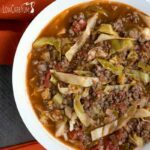 Instant Pot– The electric pressure cooker can be a bit intimidating at first, but once you give it a try, it may never leave your counter. It’s my go-to appliance for making homemade dairy-free coconut yogurt. 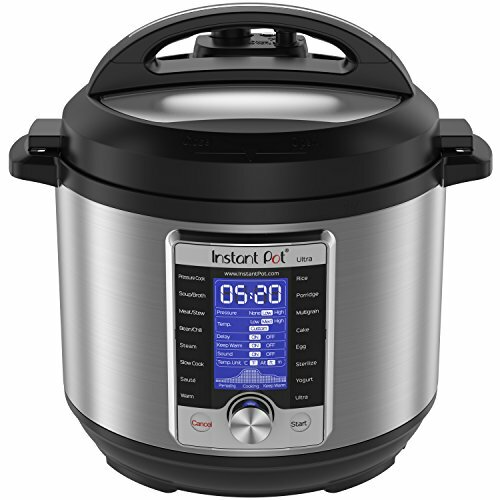 If you don’t have the room for the 6-quart model, be sure to check out the Instant Pot mini! 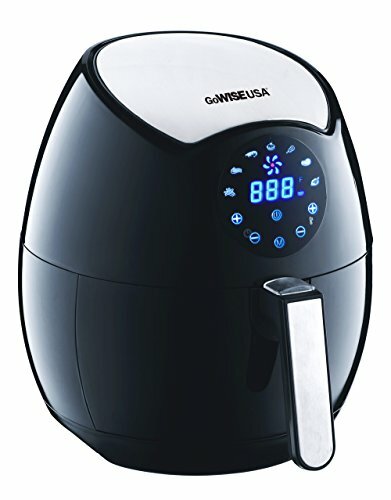 Air Fryer – I’ve heard only good things about the air fryer and I’m hoping to snag one for myself this year. I hate wasting loads of oil to fry so air frying saves quality oil and calories by frying your food with air. I’m already planning to do some air fryer recipes in 2018 so if I don’t get one with my low carb keto gifts from others, I’ll be buying one after the holidays. 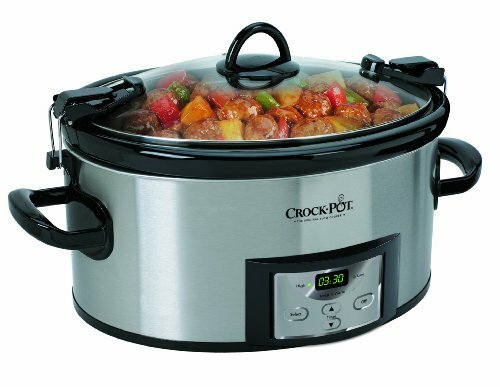 6 Quart Crock-Pot – The oval shaped slow cooker is a classic. Mine is over 20 years old and finally broke so I’ve replaced it with a new programmable Crock-Pot. The great thing about a programmable one is that it automatically switches to a warm setting after the cooking time is up. 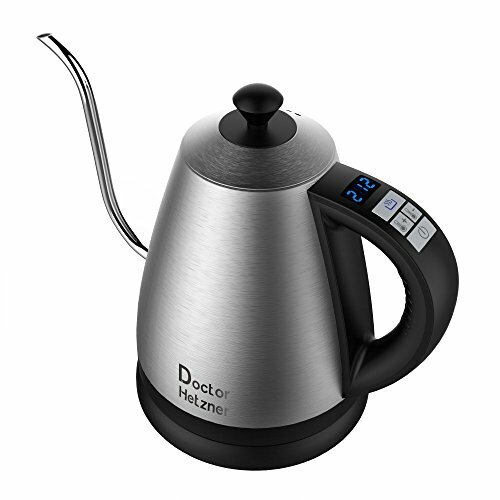 Electric Kettle – I’ve moved away from the whistling stove-top kettles and prefer using an electric one now. An electric kettle controls temperature better and makes sure you brew your coffee or tea at just the right temperature. I love that this one has no plastic inside to touch the water and water boils quickly inside. That’s why the electric kettle is at the top of my keto gifts list. 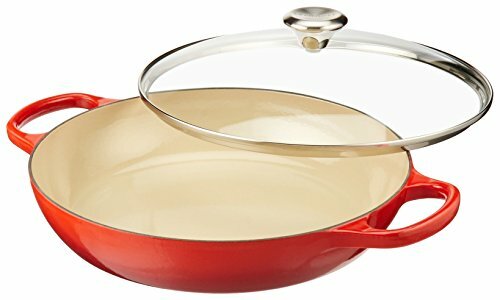 Enameled Cast Iron Buffet Casserole – I’ve had my eye on LeCreuset cookware for a long time. This year, I’ve started to treat myself to a few premium pans. There’s an outlet store nearby so I hit the sales and keep an eye out on coupons. 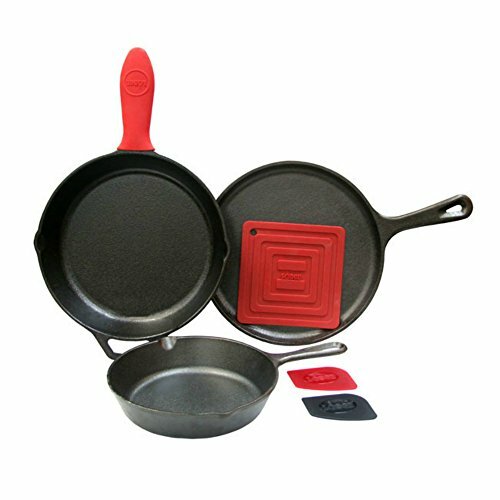 For the ultimate enameled cast iron cookware, you need to check out the high quality LeCreuset line. 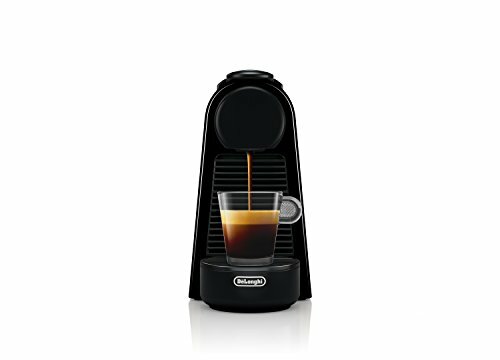 Nespresso Espresso Maker – I’ve always preferred a strong shot of espresso to a cup of coffee. However, the quality of the espresso depends on the quality beans used which can vary greatly. With Nespresso, the capsules used ensure a perfect shot of espresso is brewed every time so you don’t need to hit that expensive coffee shop anymore. If you’re buying keto gifts for anyone who loves a good shot of strong coffee, look no further than a Nespresso Maker. Cream Whipper – The whipped cream sold in the can has unnecessary added ingredients that should be avoided, especially the added sugars. That’s why everyone who loves whipped cream needs their own cream whipper! Simply pour heavy cream (or heavy whipping cream) into the canister, screw on the lid, and then charge it with an N2O gas cartridge. 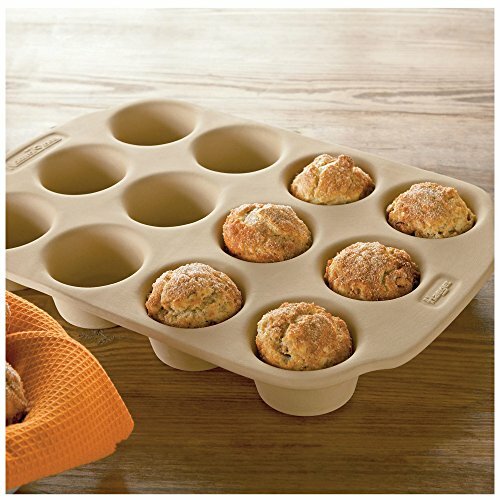 Stoneware Muffin Pan – I’ve been baking in stoneware for over twenty years. I was first introduced to it at a cooking party. Once the pans are seasoned, they become non-stick making clean-up a breeze. I just scrape and rinse them in warm water. And, it saves having to buy paper liners. 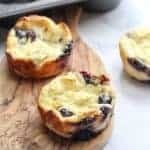 I always use the stoneware for my low carb blueberry muffins and frittata muffins. 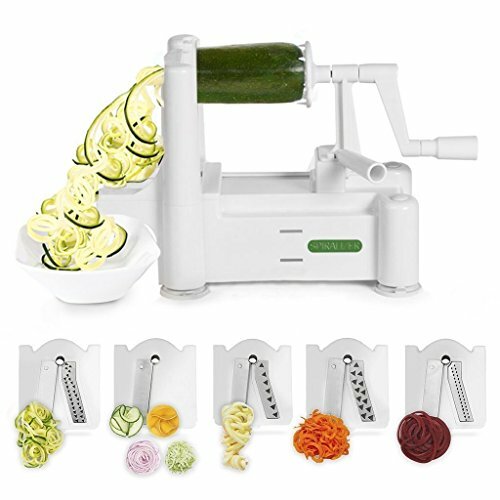 Spiralizer – Zucchini is my favorite vegetable to spiralize, but most other firm low carb vegetables work as well. If you aren’t sure how to get these low carb noodles just right, you can see the post how to make zoodles for the method I use. My son bought me a spiralizer a couple years ago and it’s one of the best low carb keto gifts I’ve ever received. Kitchen scale – Old habits are hard to break, but I’m slowly switching over to measuring my low carb flours when I use them. 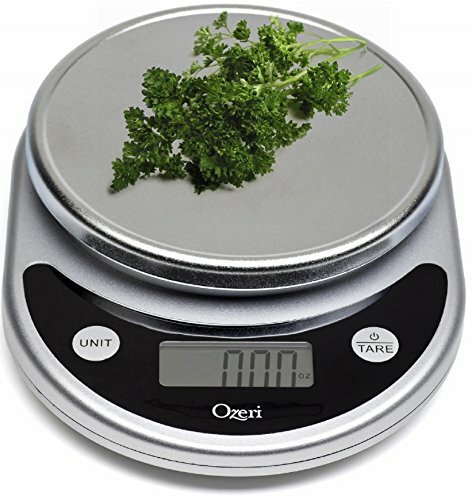 The American cup system is very inaccurate so I like to grab my kitchen scale to determine the exact weight of certain ingredients that I use in my recipes. 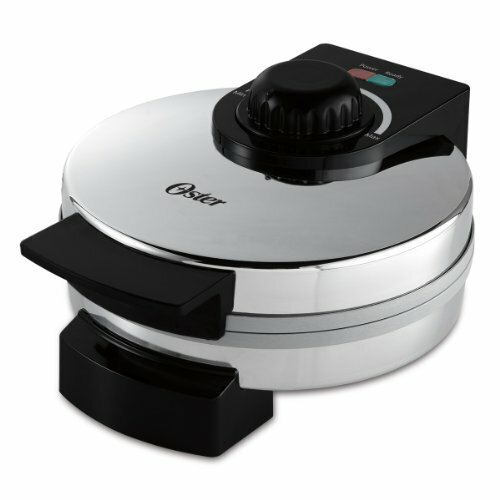 Oster DuraCeramic Belgian Waffle Maker – My older waffle iron had the traditional non-stick surface. I decided to replace it with one that comes with a natural ceramic coating that’s non-stick and easy to clean. The ceramic plates also cook up to 20% faster to save you time and energy. Food processor – If you’re a rice lover, you need to invest in a good quality food processor to make cauliflower rice quick and easily. I also use my 14 cup Cuisinart processor to grate cheese fresh from a block so there’s no anti-caking agent going into it. And, a food processor is a great alternative for a stand mixer to blend up various dough and batters. 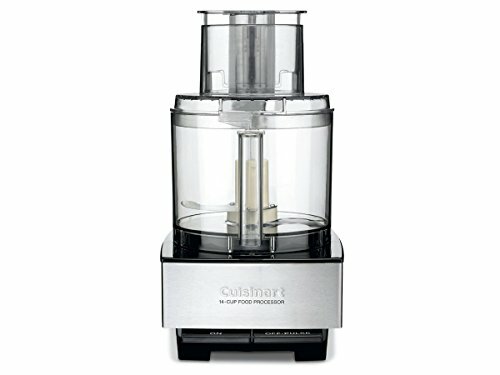 A food processor is one of my favorite keto gifts that’s sure to get regular use in the kitchen. 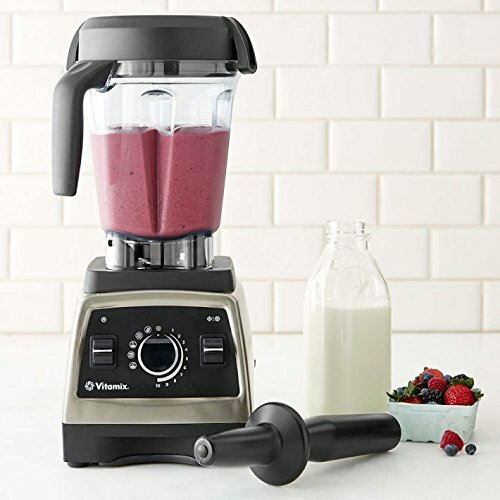 Vitamix Pro Series 750 – I don’t own a Vitamix blender yet, but since my current blender is old and not very powerful, I’m looking to buy one soon. The cost is a bit overwhelming so I’ve held off on buying a top of the line blender. However, it’s tough to beat the Vitamix quality and power so I’m looking to buy one soon. The Vitamix 5200 is another popular model that’s less expensive. 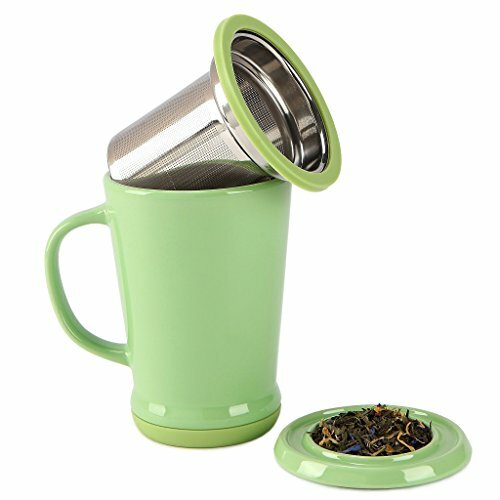 Tea Infusion Cup – If you know anyone who loves tea, they’ll appreciate this awesome tea infusion mug. I have one that I keep at work with my electric kettle so a great cup of tea is only minutes away. 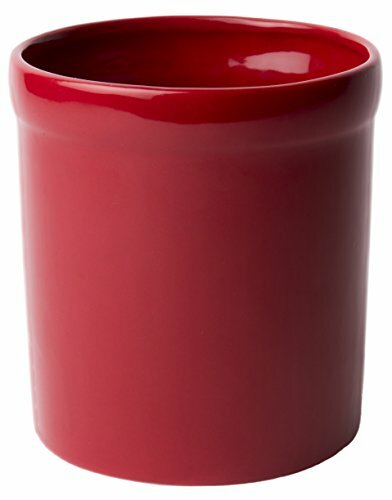 I’ve been drinking a lot more herbal loose leaf tea so I’m looking to buy another one of these cups for home. 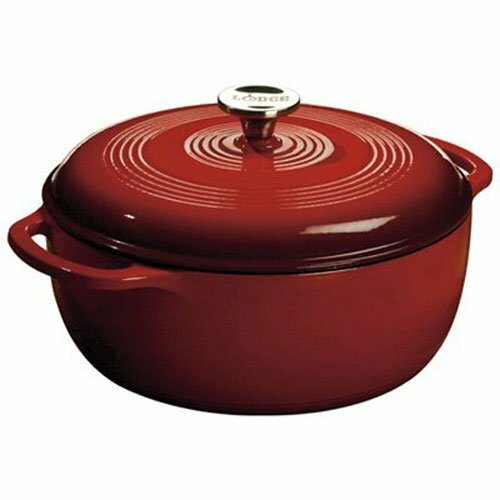 Enameled Cast Iron Dutch Oven – I bought myself an enameled cast iron dutch oven last year for Christmas. My husband doesn’t cook so he lets tells me to pick out my own kitchen items and this item is one of the most used low carb keto gifts from last year. It’s great for baking or roasting in the oven as well as slow cooking soups and stews on the cooktop. And, the porcelain enamel is a breeze to clean. It’s my preferred pot for making low carb chicken noodle soup. 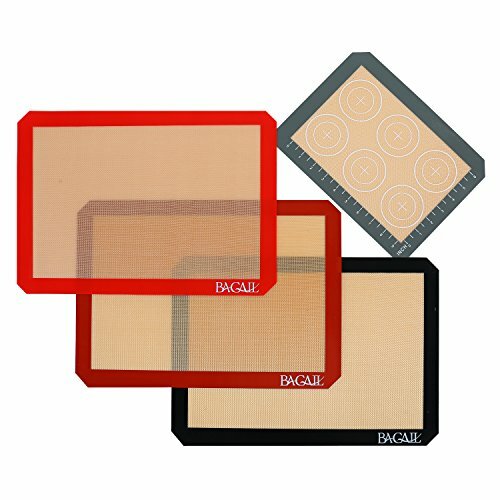 Silicone Baking Mats – I hate wasting parchment paper when baking so I like to use reusable silicone baking liners when I can. You never have to worry about sticking and they are easy to wash. I’ve been using them for years to make my low carb cookies and biscuits. I do own the more expensive Silpat mats, but the cheaper brands are just as good. 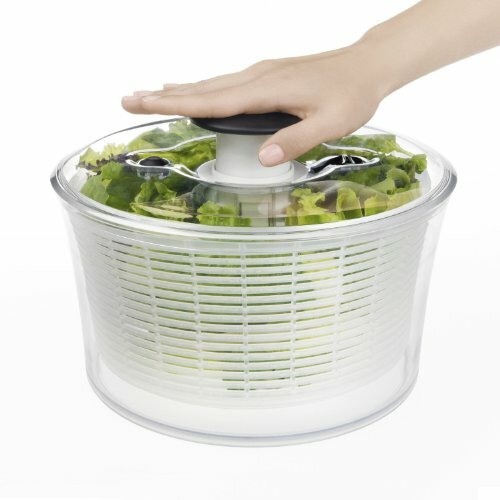 Salad Spinner – I eat a lot of salads, but I don’t have a salad spinner. I’ve had my eye on them for a while and this year I’m hoping to finally get one. I always wash my greens before eating so it would be nice to have a way to dry them out quickly. Instead, I’m always blotting everything with paper towels which isn’t that efficient or quick. 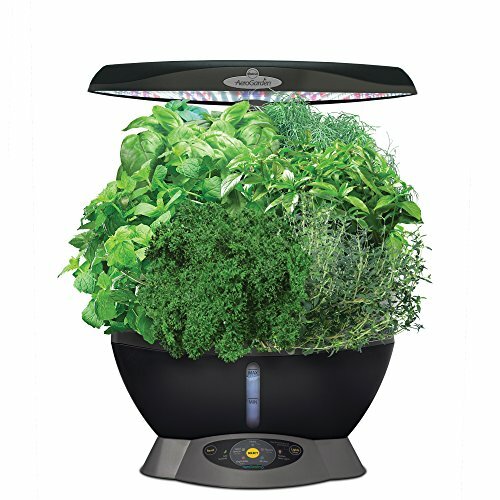 AeroGarden with Herb Seed Pod Kit – Fresh herbs add so much flavor to your cooking that you’ll want to keep them stocked in your kitchen. The problem is I always seem to kill the potted ones as the light is never right in my kitchen window. And, they don’t stay fresh very long in the refrigerator. I love the idea of a hydroponic garden and would love to try one of the AeroGarden herb kits to see if I can keep the herbs alive. Mandoline slicer – I’ve got two old mandoline slicers and am ready for a new one. One has several different blades and the other has one main blade that can slide into different heights with a rotating dial for various cuts. I prefer using the mandoline with the rotating dial as there are less pieces and I always get a better cut. The slicer above is pretty close to that design and I just love the red color. 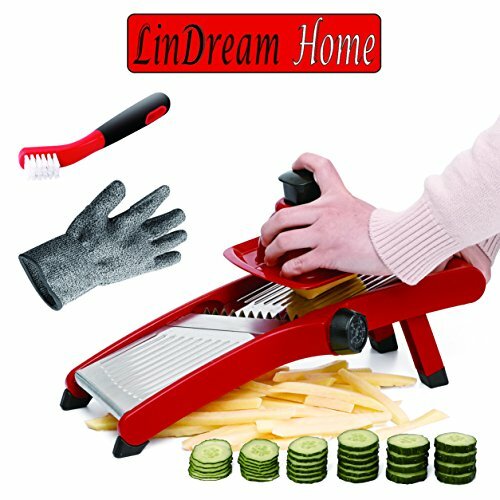 A mandoline slicer will ensure low carb fries are evenly cut. 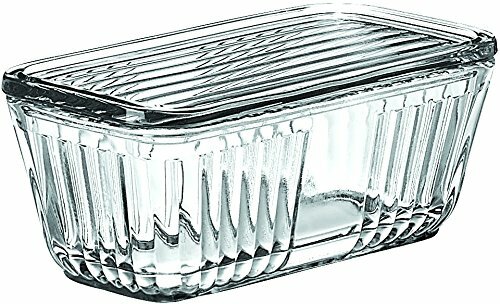 Glass Storage Container – I avoid storing foods in plastic. There’s just too many chemicals that could get into the food. That’s why I have a lot of different sizes of glass storage containers. My favorite ones are square and rectangular because they stack nicely in the refrigerator. And, there’s not plastic lids so only glass will ever touch the food. 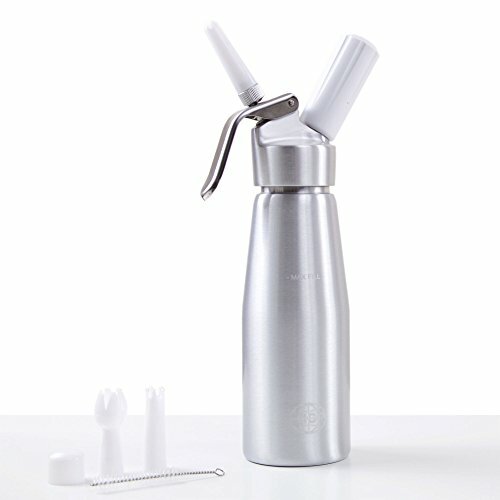 Milk Frother – If you make keto coffee, bulletproof tea, or a coconut oil coffee creamer alternative, having a milk frother is invaluable. The reason is because you simply add all the ingredients into a tall mug and then whip it up into a creamy drink using the frother. This way, there’s no need to dirty a blender. I love that this frother comes with two whisks, a stand, a cleaning brush. And, it’s totally portable to take with you on trips. 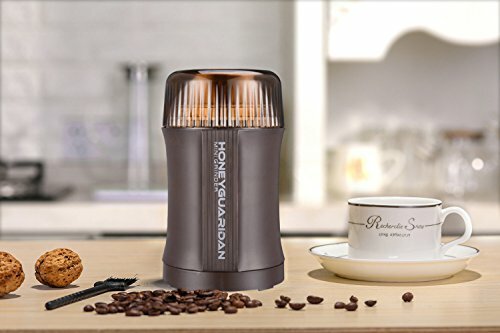 Coffee Grinder – I actually rarely use my coffee grinder for grinding up fresh ground coffee. Instead, it’s what I use to make my own low carb flour from nuts and seeds. The food processor tends to turn nuts and seeds into butters, but the coffee grinder makes a fine grind without releasing all the oils. If you haven’t tried making your own sunflower seed flour, you need to give it a try. All you do is add the seeds into the coffee grinder to make the flour. You may want to use a mesh sieve to ensure you have a fine grind. You can re-grind any of the larger pieces collected in the sieve as needed. 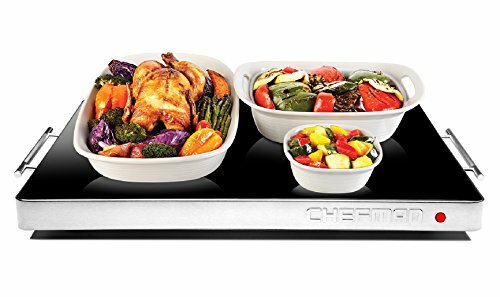 Electric Warming Tray – When I was browsing products on Amazon, I came across this cool electric warming tray so I added it to the list of low carb keto gifts. If you hate putting food out on the counter just to have it get cold quickly, you’ll love this idea. Candles and open flames always make me nervous if not attended so I love that this warming system is completely electric. 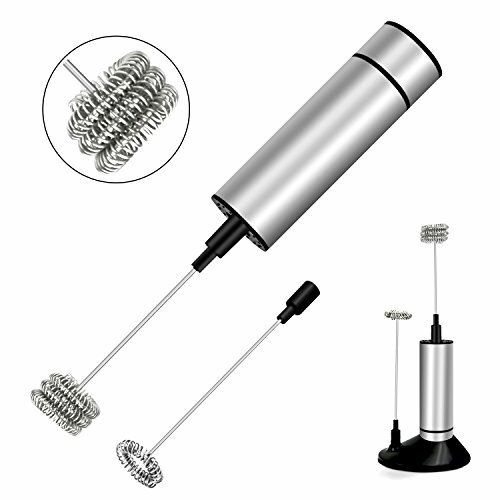 4-in-1 Hand Blender – I know a lot of people don’t have the space for too many kitchen tools. That’s why I love multi-function appliances that don’t take up a lot of space. 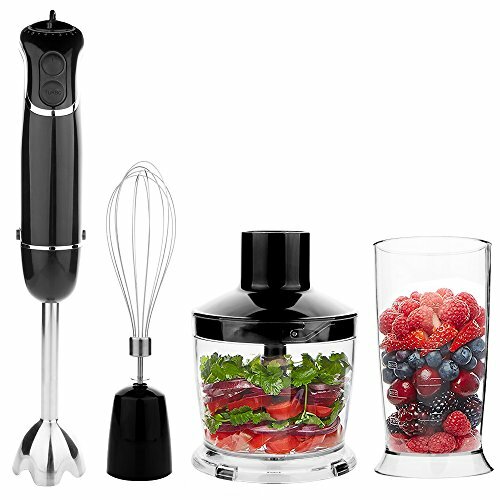 This 4-in-one hand blender is a stick blender, hand mixer, food processor, and smoothie blender. And, the price is very affordable. 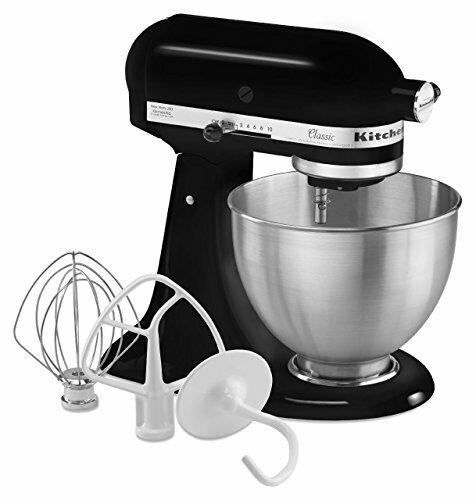 Stand Mixer – My KitchenAid 4.5 quart stand mixer is the mixer that get the most use. It’s a little smaller and lighter than the Professional series mixers, but large enough to handle heavy duty jobs. Even though I have a larger KitchenAid mixer, this one is my favorite. 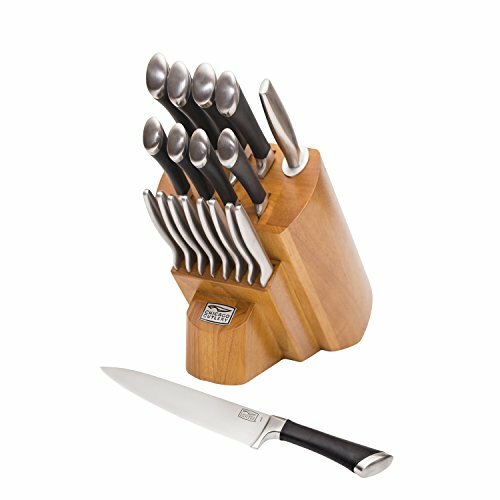 Knife Set – I like to have a variety of knives at my disposal. And, if you’ve seen any of my prep photos, you’ve likely seen one of my Chicago Cutlery knives in the image. I’ve had this knife set for a long time and the blades have kept up well. And, I just love the wooden holder that comes with the set. It sits nicely on my kitchen counter. Kitchen Utensil Crock – I like to keep my utensils handy in the kitchen. If stored in a drawer, I find myself wasting a lot of time shuffling through things to find a particular spoon or spatula. That’s why I keep a couple kitchen utensil crocks on the counter so everything is easy to find. 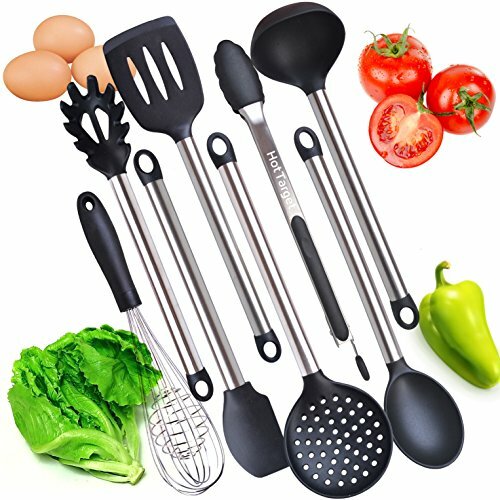 Kitchen Utensil Set – As long as you have some space, you can never have enough utensils in the kitchen. Although I love my stainless steel ones, I find that they tend to scratch my ceramic enameled cast iron cookware. That’s why I’ve started to use more silicone tipped tools. This set is the most popular one on Amazon which is why it made the list of low carb keto gifts! Cast Iron Skillet Set – My Lodge cast iron skillets are the most used pans in my kitchen. They are simple to care for and last forever. Even tough messes scrape right off if you simmer water in the dirty pan on the stove. My father has been cooking out of the same cast iron pan for over fifty years and I’m sure I’ll be using mine just as long. ChocZero Chocolates – ChocZero chocolates have quickly become my favorite low carb chocolate. They are one of the only low carb chocolate bars made without erythritol. Sweetened with monk fruit, the chocolates have just the right sweetness without any aftertaste. Even my friends and family who don’t do low carb love them. That’s why I always stock up on these treats for the holidays to give as a gift to myself and others. 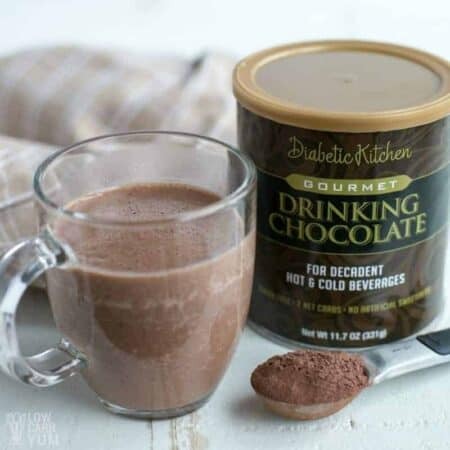 Low Carb Drinking Chocolate – I’ve tried a lot of different low carb recipes and mixes for hot cocoa. But, none of them have been as rich and decadent as the Diabetic Kitchen Gourmet Drinking Chocolate. Although the directions call for making it with almond milk, I use canned coconut milk and it always comes out heavenly. 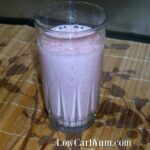 You can use it to flavor either hot or cold low carb milk. 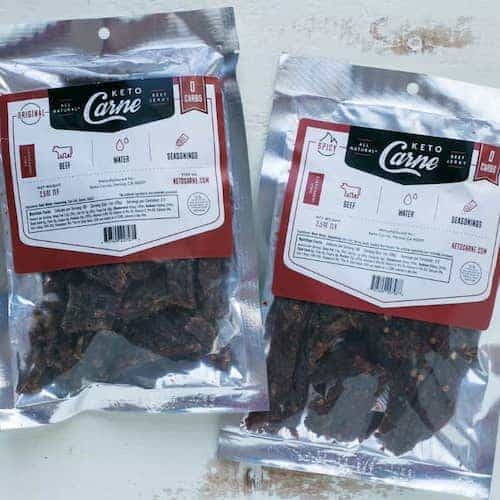 Keto Carne – Meat snacks shouldn’t contain any unnecessary sugars. That’s why I love Keto Carne which is a zero carb dried meat snack made with simple ingredients like beef, water, and seasonings. 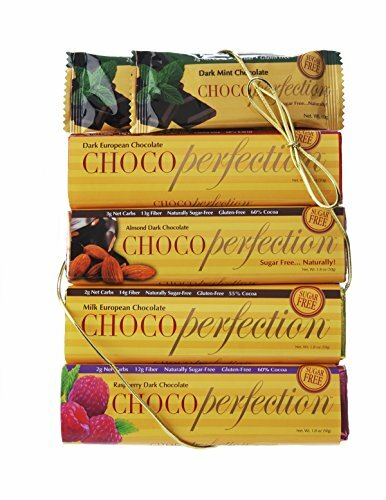 ChocoPerfection Chocolate Bars – Keto friendly ChocoPerfection chocolate bars are sure to be loved by all. If you put this chocolate out without the wrapper, no one would know it’s sugar free. The 39% Cocoa Milk Chocolate bar has a silky smooth texture with just the right amount of hormone free milk added. If you’ve never tried this gourmet chocolate, you’re in for a real treat. Keto Kookies – If you don’t have time to bake your own cookies from scratch, Keto Kookies will give you that homemade taste. And, they are made with high quality keto ingredients that you would use at home. The cinnamon snickerdoodles are my personal favorite. It’s one of the perfect keto gifts for the person who has everything. 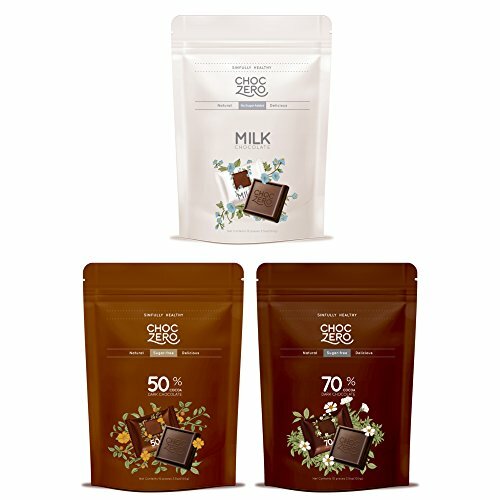 Sukrin Chocolate Bars – The very first low carb milk chocolate that I fell in love with was Sukrin. It’s a fine European chocolate that tastes amazing. 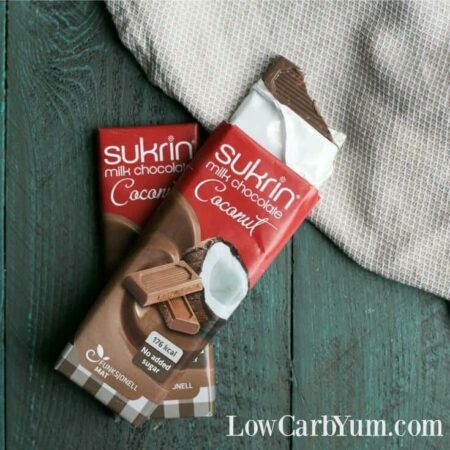 Although there are other great low carb chocolates, Sukrin is the only one that I know of that makes a Coconut Milk Chocolate bar. 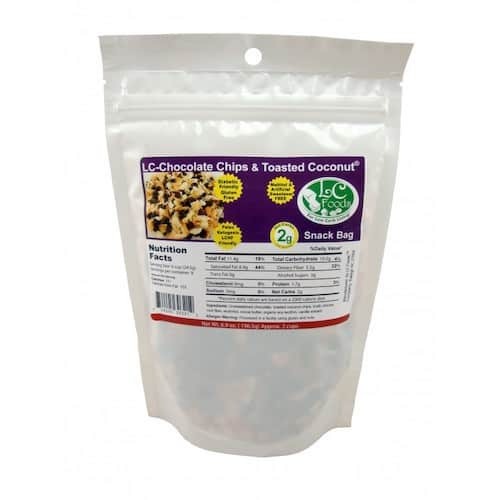 It’s on my keto gift list because I’m a big coconut lover! 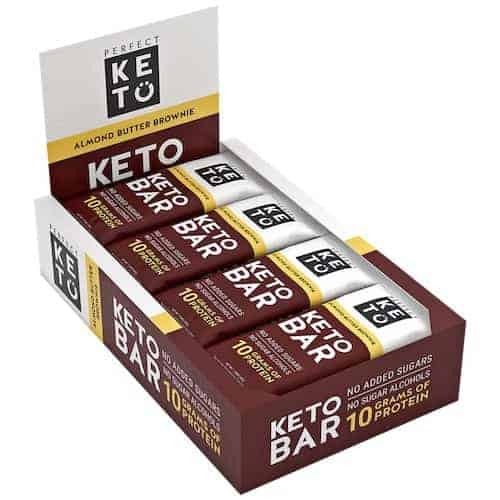 Keto Bars – No worries about getting knocked out of ketosis with the Keto Bar made by perfect keto! Each bar contains 19g of fat, 10g of protein, and 3g of net carbs which fit the keto macros ratios perfectly! 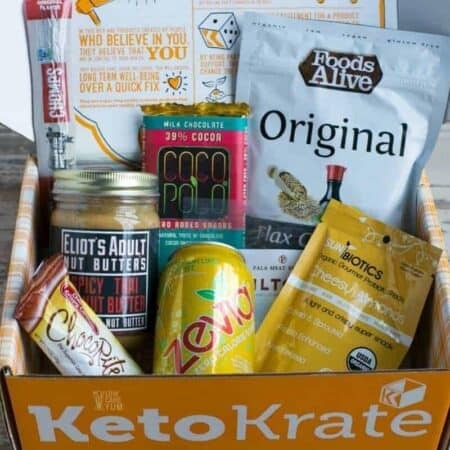 Keto Krate Subscription Box – If you want to give the gift that keeps giving, send them a short term subscription to Keto Krate. 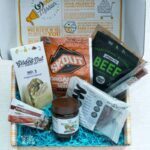 It’s easy to sign up and the boxes always contain the best keto snacks on the market. You can sign up for as many months as you’d like. And, when you are ready to stop the shipments, canceling is as easy as clicking a button in your online account. 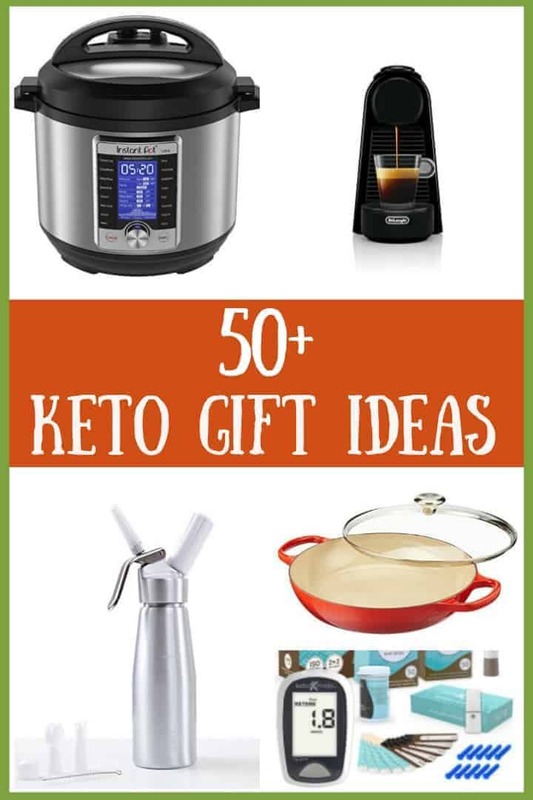 It doesn’t get much easier when it comes to low carb keto gifts! LC Foods Snack Packs – Low carb and keto friendly snack packs and snack mixes are convenient and ready to eat! These portable mixed snacks are perfect for home, at the office, on the go and as you travel. 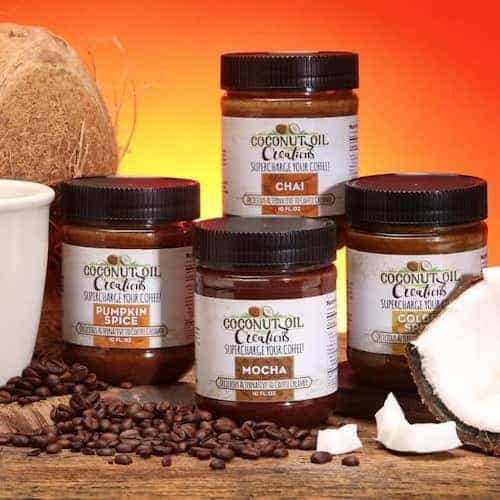 Oil Creations – Add some healthy flavored coconut oil into your coffee for a filling snack or to fill up as a breakfast on the go. It’s also perfect to add into tea if you aren’t a coffee drinker. 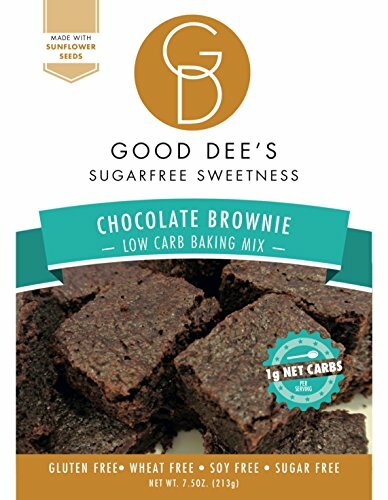 Good Dee’s Low Carb Brownie Mix – Low baking mixes are great to have on hand. And, they make wonderful gifts that last a lot longer than baked goods. I’ve tried many of the Good Dee’s mixes and the Chocolate Brownie mix is my favorite. Sure, you can make your own from scratch, but if you want the convenient of a mix, this is one of the best. And, it’s made with sunflower seed flour which usually isn’t readily available so you’d have to make your own. Graze Meat Sticks – It’s tough to find meat sticks without any added sugar. 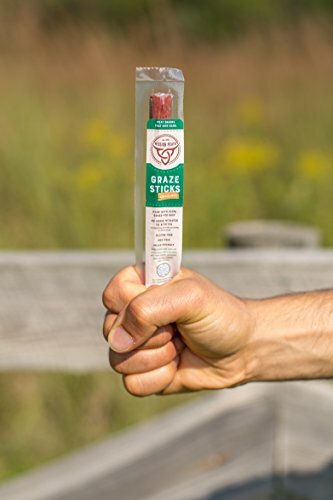 Graze Beef Sticks is one of the few grass-fed beef meat sticks with no nitrates and no sugar added. The Tasty Original flavor does have bit of a kick from red pepper, but I love having a little heat. There’s also turkey meat sticks available if you want to change up the meat. If you need some low carb keto gifts to use as stocking stuffers, meat sticks are a great choice. Fat Snack Cookies – Cookies are great snacks to go so I’m including another one of my favorite low carb cookies in the keto gift list. 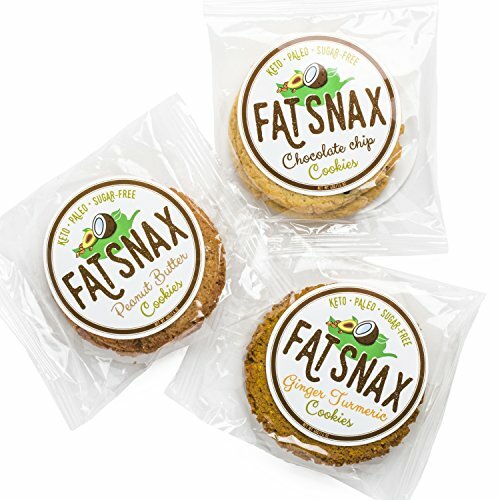 If you like a good soft baked cookie, you’ll love Fat Snax. And, they are made with ingredients I’d use at home like grass-fed butter and pasture raised eggs as well as a blend of almond and coconut flour. 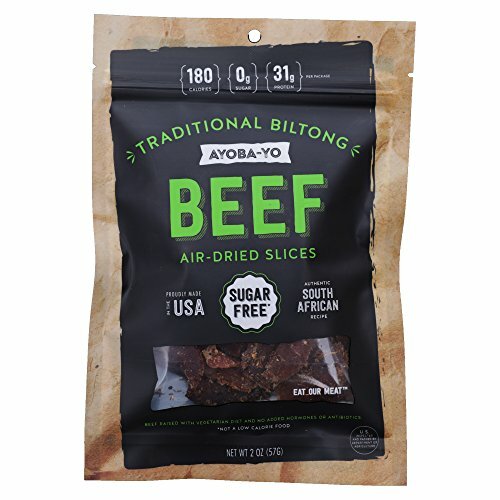 Biltong – After sampling various dried beef products, I’ve discovered the best beef jerky is South African Biltong. It’s got a softer texture that’s easier to chew than standard jerky that’s cooked faster at a low temperature. The difference is because biltong is made using an air-drying method that takes days which results in a more tender dried beef. 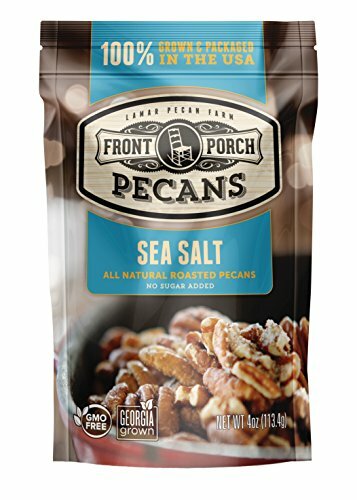 Front Porch Pecans – Pecans are my favorite nut snack and my favorite brand is Front Porch. They come in three flavors: Sea Salt, Habanero BBQ, and Unsalted. The high quality pecans are roasted to have a fresh crisp texture. The sea salt flavor is my favorite, but I also enjoy the spiciness of the habanero ones as well. You can go wrong giving nuts out as low carb keto gifts this year! The Gilded Nut– I’ve always loved pistachios, and eating ones with the shell intact slows me down so I don’t eat them too fast. 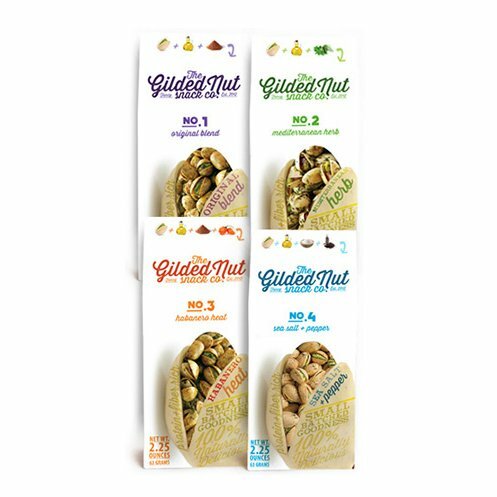 The Gilded Nut tumbles the pistachios in extra virgin olive oil along with natural herbs and spices. And the small pouches are a nice size to keep your portion under control. SuperSeeds Pumpkin Seeds – Pumpkin seeds are a great alternative to nuts if you have an allergy or sensitivity. 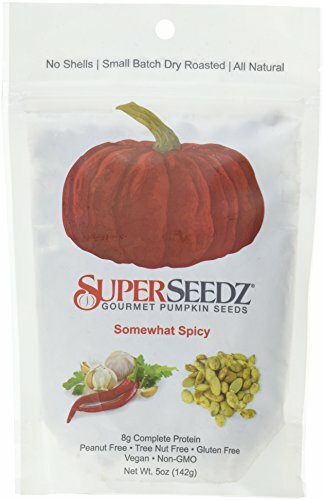 The SuperSeeds gourmet flavored pumpkin seeds are a fantastic keto snack. I like the Somewhat Spicy flavor, but the regular sea salt is another great choice. 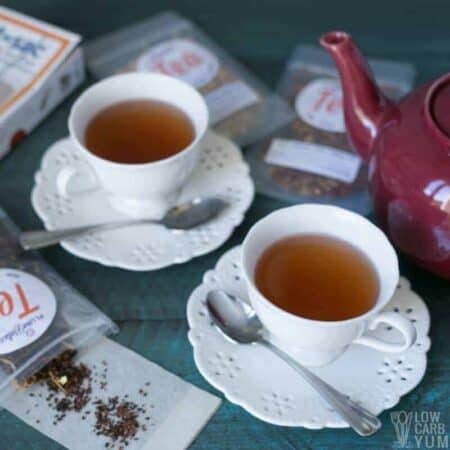 Loose Leaf Tea – This year, I cut out my daily cup of coffee and moved to drinking herbal loose leaf tea instead. I still enjoy a good cup of coffee every now and then, but it’s not a regular thing for me anymore. I believe caffeine free tea is a much better option and one of the best loose leaf tea brands I’ve found is Plum Deluxe. 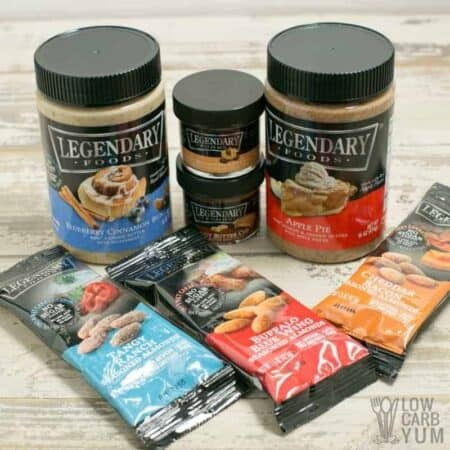 Flavored Nuts and Butter – Get the flavor tasty high carb foods in keto friendly nut butters and seasoned nuts. We love the taste of Legendary Foods Buffalo Blue Wing flavored almonds. The single serving packs make awesome stocking stuffers! 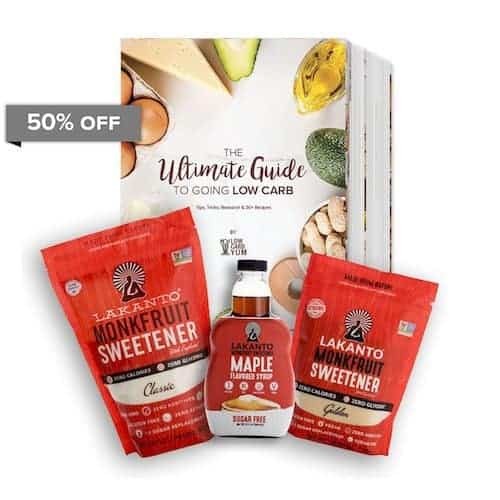 Lakanto Sweetener Bundle – The best monk fruit sweetened products from the Lakanto are bundled together along with our Ultimate Guide to Going Low Carb. It comes with both the white and brown granular sweeteners as well as a bottle of delicious maple flavored syrup. There’s also over 30 keto friendly recipes in the included ultimate guide. 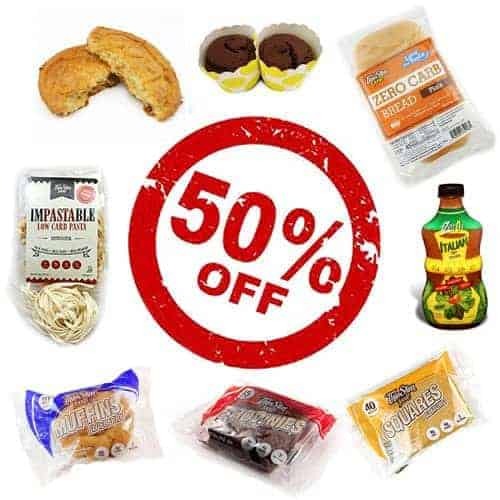 ThinSlim Foods Sampler Pack – Give them a sample of some of the best low carb foods with a sampler pack of ThinSlim Foods products. Only the highest quality ingredients are used in every item. This gift is sure to be well received. Keto Mojo – Get the ultimate blood meter to measure ketone and glucose levels! For real time testing of ketones to determine state of ketosis, a blood meter is essential. 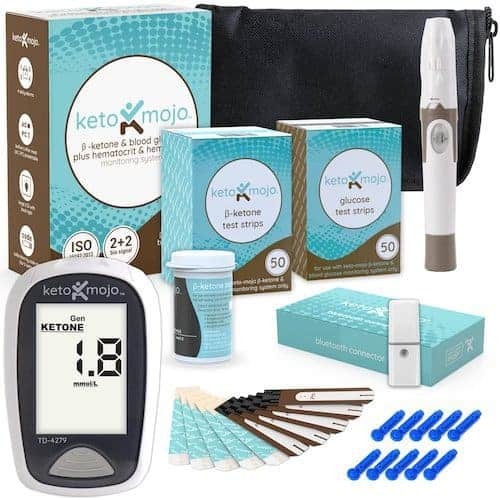 The Keto Mojo meter is FDA approved and comes in discounted product kits. There’s even a blue tooth connector available to track results on your smart phone. 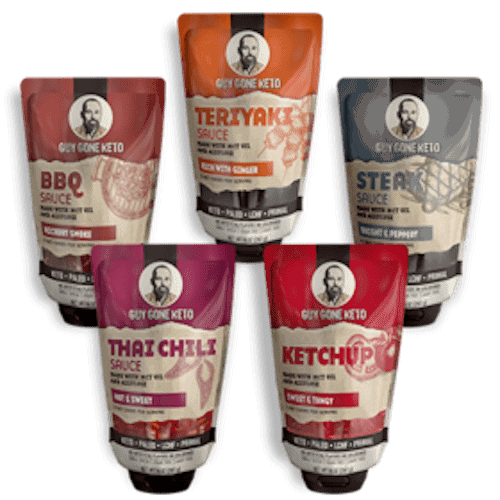 Guy Gone Keto Sauces – Get the ultimate blood meter to measure ketone and glucose levels! For real time testing of ketones to determine state of ketosis, a blood meter is essential. The Keto Mojo meter is FDA approved and comes in discounted product kits. There’s even a blue tooth connector available to track results on your smart phone. Would like to advertise my product on your site Keto Friendly Nuts. Love your site. Thanks for all the gift ideas. I ordered some for a gift to MYSELF!!! Merry Christmas and Happy New Years. BTW all the recipes that I have made from your site have been terrific and right on.